Beirut (AFP) - Syrian troops deployed in support of Kurdish forces around a strategic northern city on Friday, in a shift of alliances hastened by last week's announcement of a US military withdrawal. Nearly eight years into Syria's deadly conflict, the move marked another key step in President Bashar al-Assad's Russian-backed drive to reassert control over the country. The Syrian army announced that it had raised the flag in Manbij, a strategic city close to the Turkish border where Kurdish forces have been deployed since 2016 and where US-led coalition forces are also stationed. A military spokesman said in a televised announcement that the army would be bent on "crushing terrorism and defeating all invaders and occupiers". More than 300 government forces deployed in the Manbij area, according to the Syrian Observatory for Human Rights. 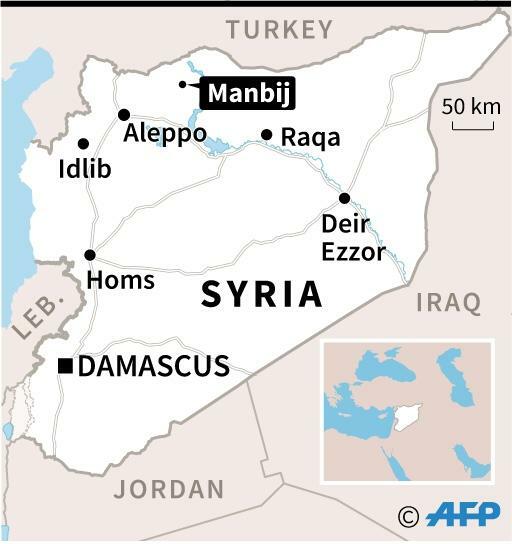 Nura al-Hamed, deputy head of the Manbij local authority, told AFP that the regime deployment was the result of Russian-sponsored negotiations. "The regime forces will not enter the city of Manbij itself but will deploy on the demarcation line" with Turkish-backed Syrian groups, she said. Hamed said that US and French coalition forces stationed there remained at their positions and continued to conduct patrols. The US military said the Syrian army had not entered the city itself. "Despite incorrect information about changes to the military forces in Manbij city, (the US-led coalition) has seen no indication of these claims being true," US Central Command spokesman Lieutenant Colonel Earl Brown said. The Syrian army's deployment creates a regime buffer arching across northern Syria that fully separates the Turkish army and its proxies from the Kurds. Turkey reacted to the deployment by warning "all sides to stay away from provocative actions" while a large convoy of its Syrian auxiliaries were seen moving closer to the western edge of Manbij later on Friday. US President Donald Trump's shock withdrawal announcement last week left the Kurds in the cold. The People's Protection Units (YPG) have been the backbone of an alliance that has spearheaded the US-backed fight against the Islamic State group in Syria. They are currently battling the last remnants of the jihadists' once sprawling "caliphate" in the country's far east, near the border with Iraq. 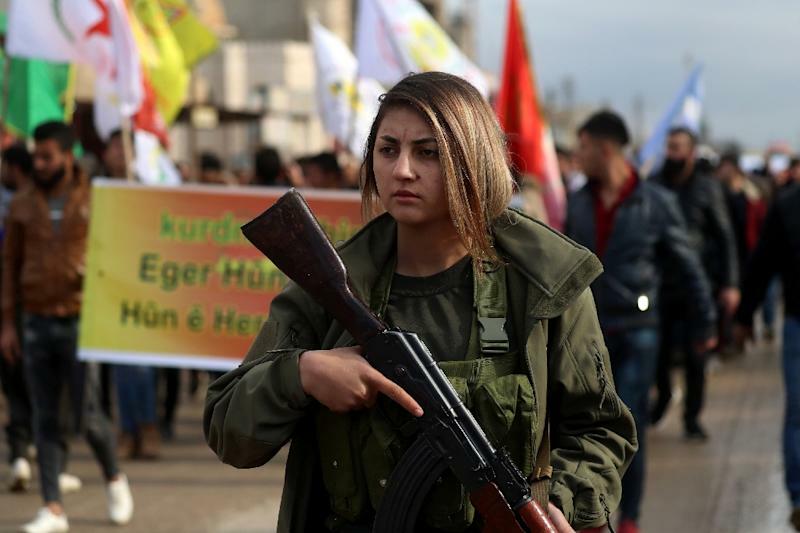 A US withdrawal will leave them exposed to an assault by Turkey, which has thousands of proxy fighters in northern Syria and wants to crush Kurdish forces it considers terrorists. 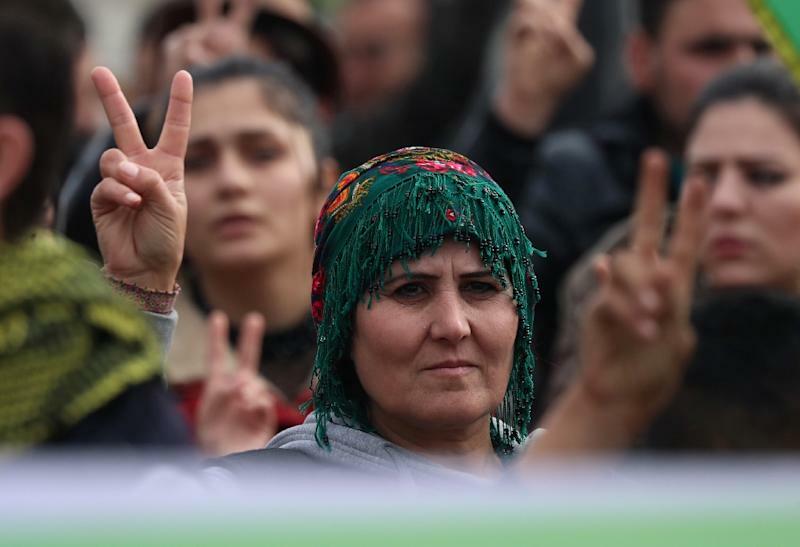 The Kurds welcomed the regime advance, a pragmatic shift in alliances that will dash their aspirations for autonomy but could help them cut their losses. "We invite the Syrian government forces... to assert control over the areas our forces have withdrawn from, particularly in Manbij, and to protect these areas against a Turkish invasion," the YPG said in a statement. After Manbij, the focus is likely to move to Raqa, a mostly Arab city that the Kurds liberated from IS last year and that the regime has vowed to retake. Turkey said Syrian Kurds "don't have the right" to seek regime help but Russia, the main foreign player in Syria since it intervened to rescue Assad in 2015, hailed the latest development. "Of course, this will help in stabilising the situation. The enlargement of the zone under the control of government forces... is without doubt a positive trend," said Kremlin spokesman Dmitry Peskov. Peskov said the situation would be discussed on Saturday during a visit to Moscow by the Turkish foreign and defence ministers, to "clarify" the situation and "synchronise actions" between the two countries. This year the regime retook large swathes of territory with the help of Russian firepower, after three years ago controlling less than a third of the country. The government ousted rebels from their bastions in and around the capital Damascus and flushed out other pockets to reopen key transport and trade routes. With internal opposition in tatters and UN-backed political negotiations stillborn, Assad is now trying to shed his pariah status and looking for funds to rebuild the country. The US pullout from Syria risks opening a highway for other regional players such as Turkey and Iran, a prospect that some of Assad's erstwhile foes are keen to counter. On Thursday, the United Arab Emirates -- a Turkish rival in the region -- reopened its embassy in Damascus, nearly seven years after severing ties and recognising a now defunct opposition umbrella. The move was the latest in a series of developments building up to the return of Assad's Syria into the Arab fold. Bahrain also announced it would reopen its mission in Damascus and observers expect regional heavyweight Saudi Arabia to confirm that trend in the coming weeks. The Arab League has admitted that the reintegration of Syria, which was suspended from the regional body when it intensified its repression of anti-government protests seven years ago, is on the table.